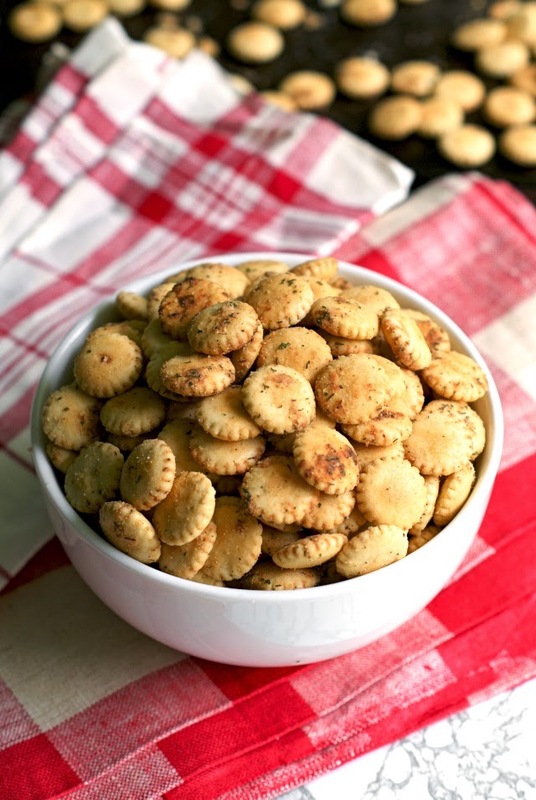 Easy Ranch Oyster Crackers are quick to make, great for snacking, and perfect for lunch boxes or topping soups and salads. I remember when I was a little girl, there were times when our family would visit my aunt and uncle in Ft. Lauderdale. I remember that whenever we would visit, they always had big paper bags full of bagels, to make bagels with cream cheese and sliced tomatoes on top. 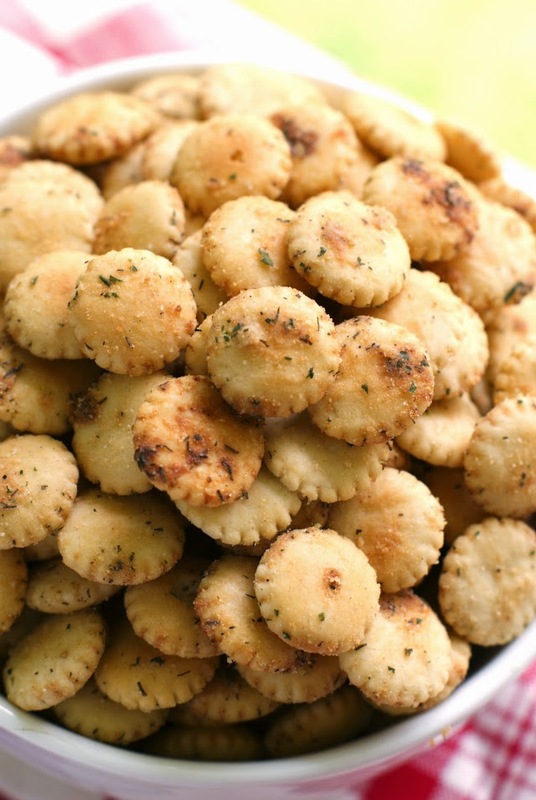 I also remember them having these amazingly good seasoned oyster crackers. I used to have the recipe written on an index card, but somehow I managed to lose it. Every so often when I walk by the oyster crackers at the grocery store, I fondly reminisce about those crackers and how much I loved them. I decided to try my hand at coming up with a recipe that was similar to the one my aunt made. I went the ranch route, because, well, I love ranch and I thought it might be the ticket to mimicking the recipe I remember. The recipe that I came up with is super tasty, but noooot quite how I remember them. Nonetheless, I totally can't stop eating these little crunchy crackers. They are addictively good and so darn easy to make. Perfectly good for nibbling, adding to a party menu, or putting in your kids' lunch box! 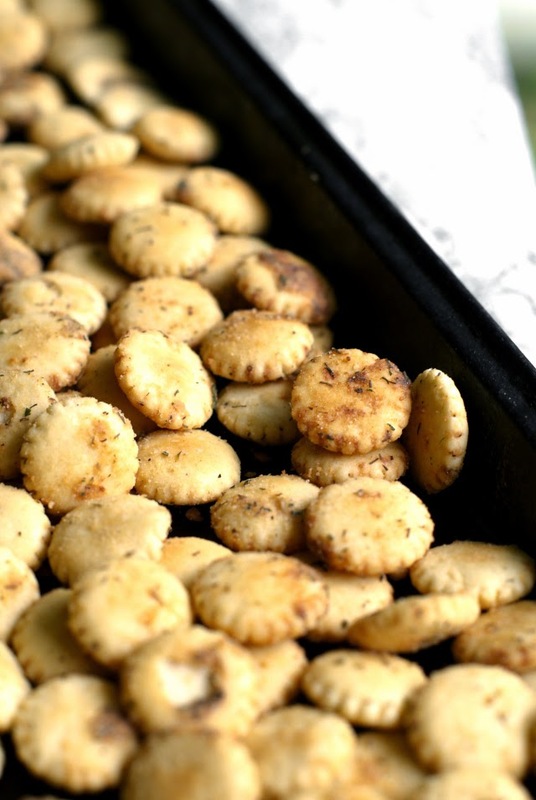 Once you decide to make these delicious little oyster crackers and you see how easy they are to make, you'll make them again and again! In a bowl, stir together all of the ingredients. Transfer to a baking sheet and bake for 20 minutes, stirring every 5 minutes. Cool and store at room temperature in an airtight container. In addition to being a superb snack, they are also great as a salad or soup topper! 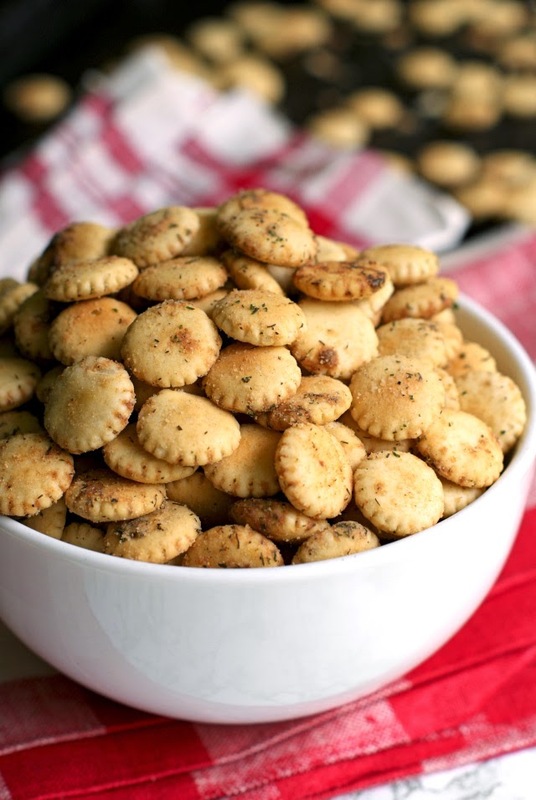 A dash of cayenne pepper would transform these into a great spicy snack. I like a lot of seasoning, but if you're looking for a lighter taste, you could easily reduce the ranch mix by half and they would still be delish.